Which Commercial Roller Shutter is Right for My Business? Which Commercial Roller Shutter or Door is Right for My Business? No ratings yet. 27 Nov Which Commercial Roller Shutter or Door is Right for My Business? With such a vast variety of commercial roller shutters and roller doors on the market today, and styles and specifications for almost any application, how do you know which is the right shutter for your business? The differences between these shutters are not always easy to spot, so let’s go through some of the key differences. The first hurdle is knowing the difference between a roller door and a roller shutter because, for many, it’s hard to spot the difference. 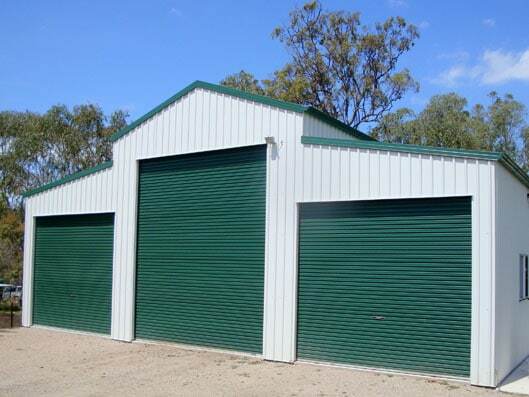 Roller doors are made up of corrugated steel sheets made to complete a full curtain. This curtain is attached to the barrel (drum) and forms the roller door. The drum usually has torsion springs running through it internally, which are fixed to the main shaft of the roller door. At each end are hubs that keep the form of the roller door as it opens and closes. These run through guides fixed to either side and are installed to a steel or concrete angle. Opt for more profound guides (this means the roller door will sit further inside the guide, giving it a more secure stance). Thickness: the continuous sheet thickness varies from .45 mm to .5 mm thickness. The .5 grade curtain can have slots or perforations cut into each slat if you require a ventilated area. Slat thickness: Commercial roller shutters are made from galvanized steel and are constructed as individual slats at varying grades of thickness, from .6 mm to 1 mm. Materials: Commercial shutters are also available in corrugated slats, Perspex *Clearview slats, perforated and slotted slats. Each option determines which grade of slat you select, as when applying variations to commercial roller shutters, an increase in thickness of steel balances the strength loss. Powder coating: Galvanised roller shutters can also be pre-treated and powder coated to help prevent rust accumulating on the roller shutter. Now we have the basics out of the way, there are more options to ensure you choose the right commercial door for your requirements. Commercial or industrial roller doors are similar to their residential counterpart. However, we usually install a thicker grade of guide (as the door is larger, it sits further in the guide, creating a more secure operation). As commercial doors usually have high cycle usage, this option is beneficial. You can also opt for increased steel thickness. Typically, a residential roller door is around .45 to .46 mm and could go as high as .50mm. 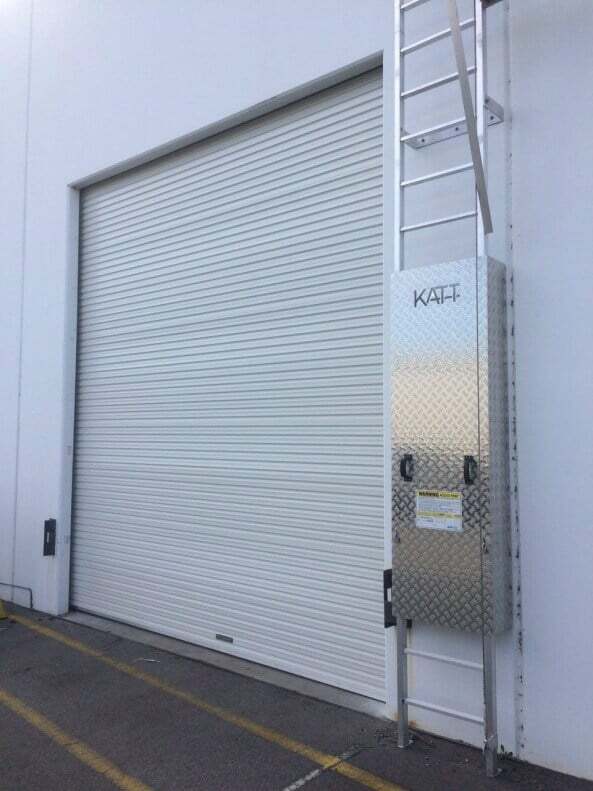 Roller doors can also be strengthened with the provision of steel braces every 2/4th indent and upgraded wind locks, ensuring an even more secure grasp in the guides. Roller doors can be operated via motor or hand chain/planetary gearing. This is best assessed against the size. While the service component ensures that your door runs safely and efficiently, a larger door would be a suitable candidate for automation due to operational functionality. Industrial roller doors are usually made to a maximum size of 5.5 m high and wide. If your door is impacted, or if the springs fail on this door, you’ll have to replace the entire door, rather than just the area affected. So while they may initially look more cost-effective, if you need to repair the door, it’s likely you’ll need to replace it entirely. Roller shutters are made from varying grades, usually ranging from .6mm through to 1 mm, in 90 or 100 mm slats. Shutters provide strength over a larger area than roller doors because they’re made up on individual interlocking slats and installed with nylon windlocks every second slat. Usually, the guides are made up of a minimum 100 mm and can be fixed or welded to the angle at the top of the shutter. Roller shutters can be operated manually up to a certain size; after that, they require single or 3-phase operators. 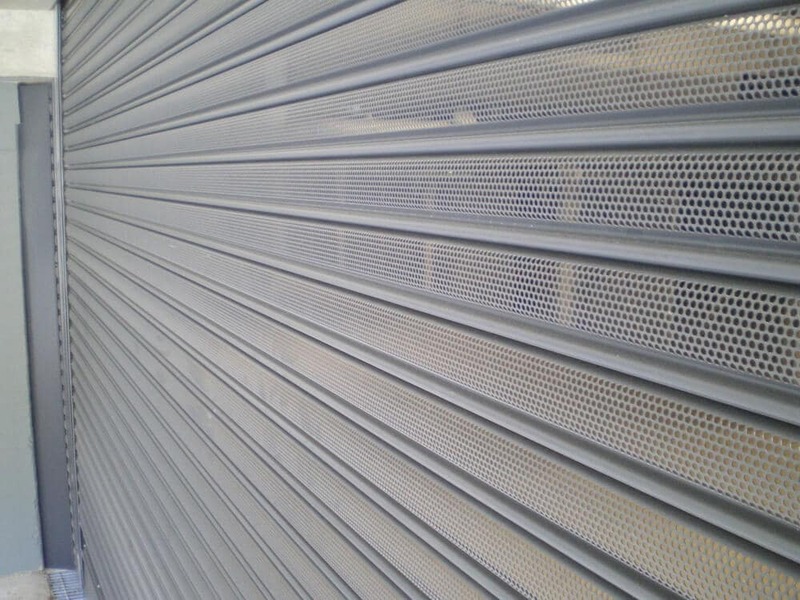 If you have an incident with your commercial roller shutter, you can easily replace the effected slats alone, negating the need for a full replacement. Another benefit with shutters is that you can customise them. 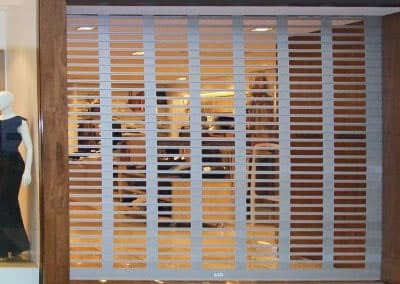 They can be perforated to allow ventilation, and can also have slots pre-cut into the steel curtain for up to 30% ventilation (commonly used in car parks) and can be made up from a transparent or tinted perspex, allowing visual access (these usually installed on shop fronts inside of shopping centres). Shutters are a solution that suits most commercial building needs and provide all the options to ensure you can have your commercial door installed to satisfy your requirements. But they do cost more due to the time required for correct installation and the higher grade material used. With so many options and upgrades available for your industrial door, we thoroughly recommend you take the time to speak with a professional, experienced door company like Guardian Doors. Reputable door companies will have a portfolio of their installations, some of which you can view; this way you’re guaranteed to get the result and product that your business needs.